Image from Fotolia Courtesy of Dazzlin Donna Fontenot - A Blogger You REALLY Need to Know! Click image to visit her blog. Asking for feedback from talented Web designers, writers, bloggers, and especially your target audience can lead to greatly improved content. As you refine and make it clearer you increase conversion because more people can grasp what you have to offer. Justin Lee has an interesting business that all small business owners, bloggers, and anyone interested in acquiring skills they can use to generate an income needs to know about: Intern Profits. how to find, hire, and manage interns to grow their business. Check out the video on their site – well worth watching. When Justin asked me what benefits I could bring to raising awareness about Intern Profits, I realized my Hire Me page was not getting the job done. The information was all there – but it obviously was too complicated and not clear enough. And if it wasn’t obvious to Justin, it would definitely be too complex for most small business owners to understand. Thanks to Justin, I focused on making pages related to what I know that can most benefit small businesses as easy to understand as possible. The next step when you are optimizing important content is to obtain feedback. That’s where you come in. You can see the before and after and apply similar changes to your own content. I support the efforts of those who support me. Click on the new Hire Me tab that takes you to my new Services page. Let me know if you think you would have noticed that tab. Would you have looked for services? If not, what would you be looking for? Is that page clear? Do you understand what I’m offering? Do you have any questions the page doesn’t answer? Did you notice the links to the other pages? Where you interested enough to click through to them? into a comment and answer the ones you can. Interested in what I changed and why? Compare the new pages to the original Hire GrowMap for Small Business Internet Marketing page. Your comments can help position you as an expert in your field, and they can help add to your own site’s search engine optimization by adding relevant backlinks. I think that it is pretty clear, it is the most obvious tab to look for if that is what they are looking for, but if someone comes on here not necessarily looking for that service, then they may not see it. Simplified content is the most important thing to consider in making a good content for blogs. Flowery words and long contents wouldn’t be very pleasing for readers because they might lose their interest as they are reading this kind of post. 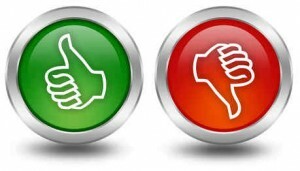 Take care – tastes are different – what the majority may like does not mean it is a high level content. Appreciation of minority matters as well. But well, on a case by case basis this all is very specific of course. This is one of the oldest and greatest method for improvement. Feedback can greatly improve anything as it allows you to correct and improve areas in which you are lacking, these also apply to internet marketing. Dammit Gail, don’t make me work when I come to read your articles. Kidding… here’s what I took away. I would never have noticed the hireme page had you not directed me to it. To be honest though I rarely look at menu links. I know it may seem like a lot of work but I would have more in-depth posts linked to each of the services; breaking them down for those who want to know more. I think the Paypal buttons are pretty clearly defined, so that was not a concern. Everything; including links, is blue so I think that may confuse readers a little. I didn’t see enough incentive to click on additional links, because to be honest I couldn’t tell them from the headings a lot of the time. I think the info is succinct enough for those who understand what you are offering; however, for anyone who could benefit from those services but is not familiar with the terminology I think you would lose them. For sure. Criticisms are not only made to insult but made to point out things that we can improve on. Feedback is the best way we can know what we are lacking, without it we’d be too complacent and ignorant of our own mistakes. In order for us to be the best we have to fix our mistakes through other people’s point of view. * I like the “Hire Me” name for the tab but it needs to either be highlighted or moved to the left. Right now it’s easily lost. * I agree with others, I don’t think there is a reason to have comments turned on for that page. * I would strongly encourage you to answer the WIFM (What’s In it For ME) question from the point of view of your potential client in dollar terms. For $570 what can they expect to see? Let’s say it’s a regular flow of at least 10,000 new visitors each month. If they had to buy that traffic (think PPC or other advertising) what would it cost? EACH MONTH! Now compare that number to your $570 – its a steal in the potential clients eyes. Hope this helps, feel free to email me if it doesn’t. As always thanks for what you do. Happy I can give back a little. Names on tabs need to be short because only so many will fit in that space. Talk to me about Mobile Payment. When I last checked into them what they were charging in fees was outrageous. Are there any that you specifically recommend? Uhm, it might be me, but I can’t seem to find the Services tab. Has it been removed, renamed or do I desperately need glasses? LOL – no, it is not you. I took the recommendation of others and changed the name to Hire Me. Thank you for reminding me I need to edit the post to reflect that change. Agree with what you have posted. Great content makes readers attracted towards your post. Even other bloggers start commenting on your posts. Making conversions with them will and accepting suggestions from them will improve your post content. Thanks for your post! This will really be beneficial for the new bloggers. You have shared list of very important stuff. I have click on that tab. you are right content modification is more needed to increase conversions. Better yet just get rid of the feed back altogether. I appreciate reading those simple contents rather than those flowery, long contents. Anyway, what is important is the additional learning I get from these contents that could be very useful for me in the long run. Hey there this is a wonderful post and your blog has got a good collection of resourceful articles.. I commented in this blog before also and thanks for telling me that my commentluv was not working…. I’ll second the “remove comments field” below the content of the services-tab. There’s no real reason for people to comment there, plus it would look cleaner. Simple and clean is where it’s at. That is the goal I’ve been working towards. The challenge is using as few words as possible while still making it clear. That isn’t so easy. The reason there are different buttons is that they have prices for each service associated with them. I am not aware of any way to have one “hire me” button that could do that. I agree simple is best! Most readers tend to need very specific “this is what I do” and “this is how you can get me to do it” type things. Why? Because blog readers don’t want to be at the computer for hours trying to figure out what it is you are telling them. Internet readers want the information quickly! Exactly Kelli. Sometimes a little less is more effective than way too much. sinddy would love you to read ..What Is Medical Billing And Coding? Thanx bro.Readers easily understand what you are saying. sunil would love you to read ..Grab Aakash Tablet Now !!! Simply brilliant! Thank you so much. I did move the fine print already. To remove the sidebars is a skill I’ve been meaning to learn but haven’t yet so I’ll look into that. The reason for the colors is trying to make it more clear what button goes with what service. People now hate to read so much that I find they simply will not read all black text. What I really need to do is split test but I don’t have enough traffic to that specific page for that to work. Could you provide a link to information or where you got the free consultation button for Time Trade? Thank you. Yah i agree with you that simplfied content is better for your blog.because reader easily understand what you are saying. I think once you click on the services tab then it is very clear, but services is not what I would look for. Maybe ‘our services’ or ‘my services’ would be better, or ‘growth services’, but it has been very helpful nonetheless. Yeah,i support the notion brought by pam sheraton,it’s right,clicking the tab is kind of hiddening it,put a hire me Notice instead. Hi there, don’t you think that rather than naming the services tab it should have been HIRE ME. I mean it’s more obvious that by clicking this tab people are likely to know which services you provide. To me personally it went completely unnoticed. Pam Sheraton would love you to read ..When Do I Start Paying Tax As A Self Employed Person? The tab WAS previously called Hire GrowMap and because the Thesis Theme I use is so smart it refused to let me rename the original page so I could name this one Hire GrowMap. I’ll do a split test between Hire Me and Services and see which works better. Until I have time to set that up I’ll test your idea and rename that tab HIRE ME. Thank you so much for your input. ARRRRGGGHHHH….sometimes automation is a bad thing. I renamed my services page Hire Me = big mistake because Thesis site options does not pick up Hire Me as a page I can use in the navigation menu – it still shows Services. So I tried creating a new Hire Me page but it gets automatically renamed to hire-me-1 so that’s no good. I will have to find someone who knows how to force Thesis to let me name that tab HIRE ME. If anyone reading this knows, please share. Thank you. This can be done; you can either pick any new page to add to the list or rename existing tabs. I’ll touch base with you. Simplified content is very important to success. Nice post. Fortunately for me I have a lot of very advanced bloggers and Internet marketers as regular readers. I realize that what I write is often overwhelming for some; however, only those who are willing to stretch will be successful. The odds are truly against those who hate to read or think. I definitely agree that in most cases a single call to action is the best plan. Getting the buttons where I want them without breaking the code is a real headache. I have found that I must make all changes in html because using visual editor breaks the PayPal buttons. That makes this tougher – and I haven’t found any way to center them which would make it more obvious what goes with what. Thank goodness Derek created those custom CSS divider lines I’m using to section off the offerings! I just added some better descriptions but still hopefully kept it short enough for those who most need me to read it. Let me know if you like the additions and they make the page easier to understand? I’ll have to think about a way to make that tab more obvious – or maybe someone else will have a suggestion about that. Thank you so much for your feedback. Very sound sharing. What you are saying seems like a do-able thing for me atleast in 2012. Getting people to comment is now that you have mentioned it a great way to get prople to read and also at the same time to get constructive help to improve your articles. Will be using this, thanks for the great idea. All the best for 2012, have a great year ahead. You definitely want to be careful about asking too much from your visitors. I think it’s great if you can get good feedback from them, but on the same token, you don’t want to push people away and look less professional by asking for too much feedback. This blog has an audience of many marketers and accomplished bloggers who are always happy to offer feedback. Hopefully among the lurkers are small businesses that read but no matter how much I encourage them, take a long time to feel comfortable commenting. The problem with the world is that so many people are pretending they know everything and misleading and really hurting others by being mostly about appearances and not nearly enough about effectiveness. The world is full of con artists who teach newbies to pretend they’re successful (when they haven’t a clue – unless their success is created by taking money from those they con) and people looking to get rich quick who fall for their schemes over and over. It is high time for some honesty. Anyone who thinks they know everything about ANYTHING is a fool – and those who believe them are bigger fools, indeed. It is high time for some honesty, but dishonesty will always abound especially on the internet. The trick is to educate those about the con artists out there and to encourage people to be wary of get rich quick schemes or anything that sounds too good to be true. Getting feedback is vital, of course we know how our own sites work – we built them! As well as inviting comments from others in the IM crowd, I like to ask my techno-phobic wife to take a look, if she understands it anyone will! A very timely post. I just had an email exchange with a reader on my site who said she liked all the content I was providing but wasn’t really clear on what services I offer. I wasn’t really going to consider making changes to the page right now but after reading this I think I will. You should also use you analytics to look at page views for your services page. Maybe people just aren’t seeing the link? Play around with putting a call to action to your services in relevant posts. This is so true… Good content can give you comments that also be of help for you. Thanks for sharing this great article. The services page is fine, except for the local business directory listing part. I think a small two line introduction to that service is required on that page itself in addition to giving a link to its description. Raj would love you to read ..Everything counts! – Using Every Available Resource to Get More Traffic. Amazing tips which will prove good for make impression on readers and visitors we all know very about that what is the importance of content in site/blog post we should understand this thing very well if we have original content on our site/blog post then Google will give more importance to our site/blog post. Absolutely interesting and worth’s reading! Very effective method! I agree with the fact Just imagine how much new content you’ll have on your website; besides the benefits that will come because you help others, your site authority will rise as well. I think a small two line introduction to that service is required on that page itself in addition to giving a link to its description.these are great helpful tips. Well I am very thankful to you. I have learned a lot of thing from your article and I also recommend these tips to my mates. I think additional guidance from you will be highly appreciated. It would surely help if people were honest. these are great helpful tips. taking feedback from visitors via comment will also helps a lot. I think Services tab will be only prominent for those who will focus on navigation. Normally the readers do not jump on navigation of blog they usually hit on the first post. So I noticed the Services tab after reading the post I think it should be prominent to those who jump on the latest post first. I really like the idea of simplifying the services it looks more catchy and the potential clients can easily know whether your the type of person they looking for, but where is the portfolio? I see, that’s a great explanation, showing before and after I mean. The old one with a bit too much info and somehow unclear, the new one short, to the point, clear and with links for further details. Really, you explained your point as clear as possible. Well done.